Third party player for Netflix. Is there a better alternative to Stickyflix? Is Stickyflix really the best app in Entertainment category? Will Stickyflix work good on macOS 10.13.4? 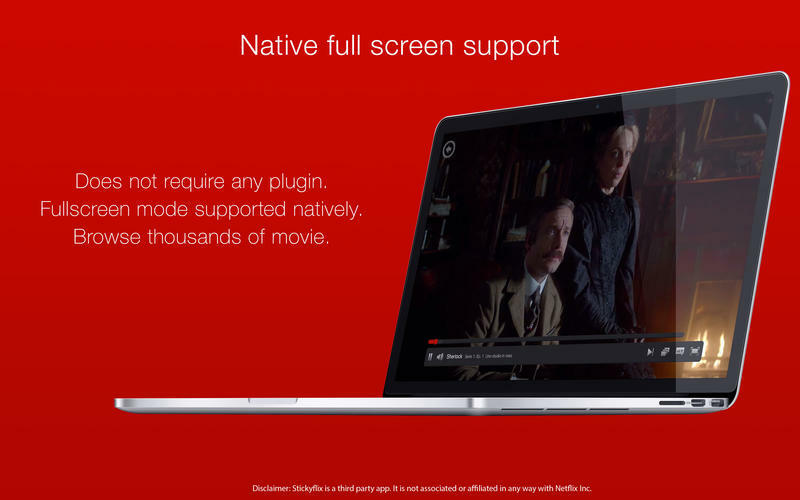 Stickyflix lets you access Netflix super fast. You can watch movies and TV shows online. It's fast, easy and sticky! Browse movies and series without even opening your browser. 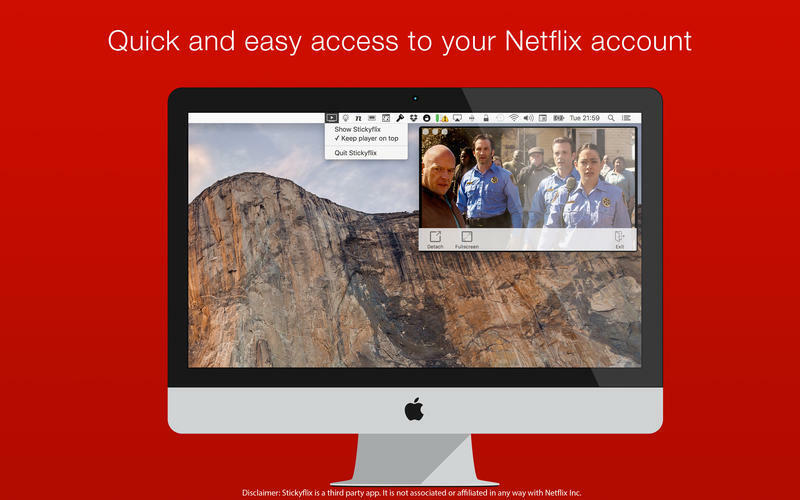 Stickyflix allows you to watch your Netflix contents straight from your desktop or directly from your status bar. Play movies in the app. Status bar and Window App. 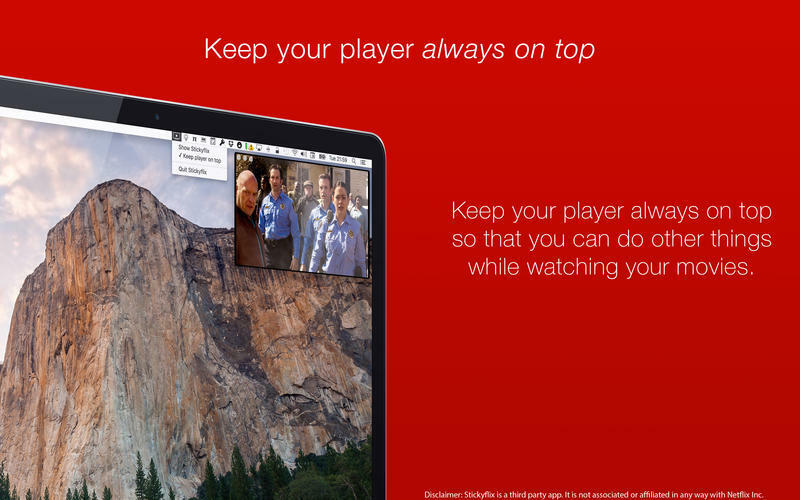 Easy switch between menu bar app and window mode. Sticky Window mode ON/OFF to make it always on top. Stickyflix needs a review. Be the first to review this app and get the discussion started! Stickyflix needs a rating. Be the first to rate this app and get the discussion started!